The regular and double cab versions of 2014 Chevrolet Silverado1500 and the GMC Sierra1500 have received the highest possible 5-star overall vehicle score for safety as part of the National Highway Traffic Safety Administration's New Car Assessment Program. the previously tested 2014 crew cab models, which also received a 5-star overall score, all cab configurations of the Silverado and Sierra 1500 series now have the highest possible overall vehicle score. These models are the first pickup trucks to receive the 5-star NHTSA overall vehicle score for safety since the implementation of more rigorous requirements for the 2011 model year. 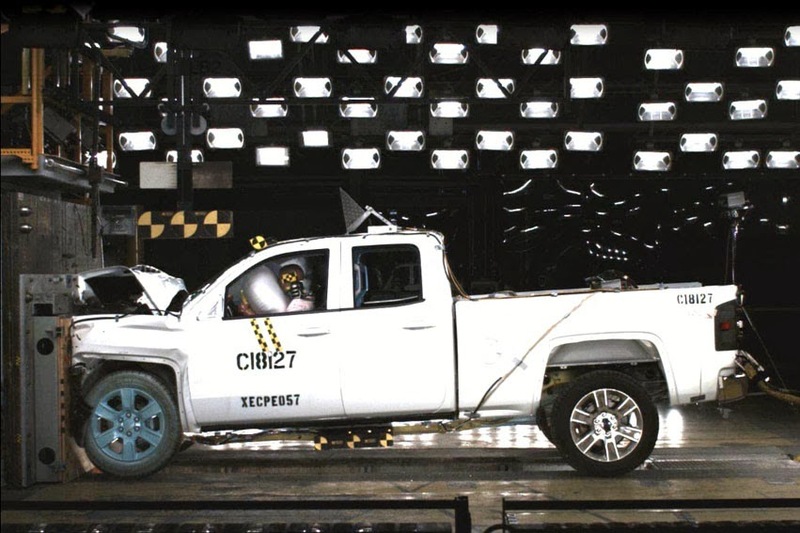 "Our incredibly capable trucks have been engineered to be some of the safest," said Gay Kent, GM General Director of Vehicle Safety and Crash worthiness. "We've designed the vehicle structure, strategically placed high-strength steel and developed the occupant restraint system to achieve high levels of safety performance. This level of vehicle performance is complemented by a full array of other advanced safety features to help protect our customers, no matter which new Silverado or Sierra they choose."